Stalis, Crete. Perfect for couple or family holidays in Greece. 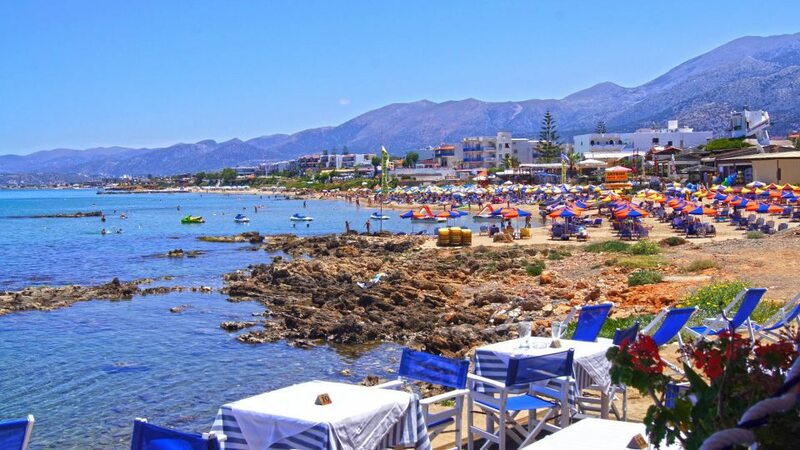 Stalis is on the North east coast of Crete between Malia and Hersonissos and is a relaxed resort popular with British holidaymaker's, European holidaymaker's from the Netherlands and Germany and very popular with Irish tourists, so you will find a wealth of Irish bars in Stalis. 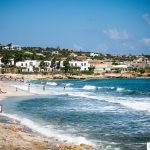 The town of Stalis is situated on the main beach and most hotels, bars and restaurants run parallel to the beach. You will find traditional restaurants, small welcoming bars and pubs as well as the odd small dancing club or two. 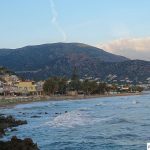 Stalis is an excellent base for your holiday to explore Crete being close to the mountains and beaches as well as just an hour away from Heraklion the capital city of Crete. Stalis or more commonly called in Greek “Stalida” was once a small coastal town dependant on farming and agriculture, with some reliance on the fishing boats bring in the daily catch to the smaller Tavernas. In the mid 70s when tourism started to come to the island of Crete the villagers saw an opportunity to market Crete to European holidaymaker’s, especially the original Irish tourists and the once small village has grown into a fully fledged tourist resort catering for families and couples alike. The beachfront has some amazing 4 and 5 star hotels, all overlooking the clear blue seas and clean sandy beaches. The beaches are either private with each hotel or portioned off for each beach bar. You can choose which beach bar and beach you like just by visiting the bar area and trying their drinks, cocktails and snacks. 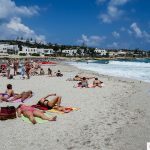 Sunbeds are usually of the same price, although a point to note is that local competition to win you onto the beach can be quite strong, and the likes of Dwyer’s Irish bar offers a snack, drink and sun bed for the sum of 6 euros. An offer not to be sniffed at. The beaches of Stalis are not hard to find, no matter where your hotel is situated. Find the beach road and of course the beaches with a myriad of beach bars adorning the sea front. Sunbeds are payable to the beach boy or at the beach bar and usually cost anything from 3 to 5 euros for 2 with umbrella included. Some beach bars like Slainte and Dwyer’s beach Bar offer you a free drink or simple lunch included with the price of the sun bed. A lot of the larger hotels like Anthousa beach and Cactus beach have their own private beach with beach bar. A lot of people ask us the best place to go fishing in Stalis, well you need to head towards the far end of Stalis, this is heading towards Hersonissos, where the beach ends you will find a concrete area with one or two sunbeds on it. This is the place where you will find a constant shoal of large mullet ranging from 1 to 3 lbs. The best bait is bread flake, or you can try buying a local loaf of bread and use a heavy trotting waggler or bubble float and use a small piece of hard crust. Be warned they are very hard to catch, even for mullet but the local fisherman are always happy to advise on tactics. For the best places to snorkel in Stalis, choose the area pictured in the picture to the left, you will find some great underwater sights, from shoals of mullet and bream to more tropical type fish. There are a few islands you can swim out too with a bit of reef life. If you have a keen eye you even spot some Octopus, but you have to be fast there’s a local spear fisherman who will bring in bags of Octopus he catches in Stalis daily. Snorkelling in Stalis is a must, if you’ve swam the whole of Stalis then head down to Malia port for some deeper sea snorkelling. There is plenty to do in the wonderful resort of Stalis, with its wealth of shops including leather, fashion and jewellers. 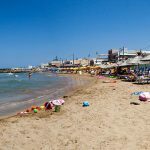 You can enjoy a day on the beach of Stalis, or why not explore the smaller mountain towns of Mohos and Krassi which sit in the mountains behind Stalis and Malia. The good thing about Stalis is that its well placed if you want to explore more of Crete, its just a 5 minute drive away from the larger cosmopolitan town of Hersonissos, the stunning beauty of Elounda and Agios Nikolaos and just a 35 minute drive away from the capital city of Heraklion and Knossos Palace. 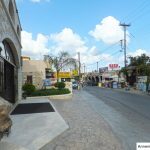 For those looking for quiet days but a more hectic nightlife then Stalis is ideal as it runs directly into the party resort of Malia. If your visiting the area of Stalis or Stalida then its worthwhile heading up into the mountains to visit the villages of Krassi and Mohos and see the picturesque windmills on Lassithi Plateau. If your thinking of taking a family holiday to Stalis then you must pick your hotel with care, make sure it has nightly entertainment, child friendly pools and if possible a kids daily programme. Within Stalis itself there isn’t much for kids to do apart from head to the beach, the bars and pubs are very children friendly though and you can play pub quizzes and bingo in most English style bars. This is ok for older children but for very young children they may become quite bored without good hotel entertainment. Don’t be put off taking your family to Stalis, its a very friendly and relaxing resort, also there are activities in other resorts like Horse riding in Hersonissos, paint balling and football in Malia and plenty of fishing trips to take the kids on. Depending on what food your looking for Stalis can cater for every taste. Starting off with real English pub grub you wont be disappointed. First try the Red Lion which offers a huge menu of English and Continental dishes, and one of the best breakfasts can be had here. The Red Lion is quite reasonably priced, being just a little cheaper that back home. 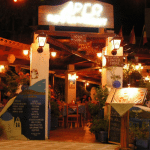 Another great restaurant to try is Robin Hood restaurant which is an authentic British style pub along the road towards Malia, friendly staff and good food await you. Another great restaurant that is well worth a mention is the Rovers Return situated near the beach. 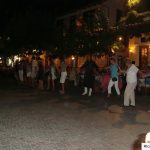 The resort of Stalis has some excellent traditional Greek Tavernas. We have eaten in most of them and our choices pretty much reflect what ranks highly on the likes of TripAdvisor. The number 1 restaurant at the moment is Katerina Taverna with top quality mixed grills and delicious slow cooked Stifado. 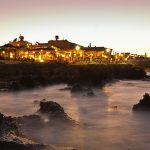 Right on the beachfront is the wonderfully charming and always popular Restaurant Creta serving up a wide range of dishes that will suit everyone’s taste. 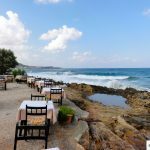 There are around 62 restaurants in Stalis, including some excellent international restaurants, small family run tavernas and probably one of the best Chinese restaurants on the eastern side of Crete. Go exploring back the back alleys and off the beaten track in Stalis and we guarantee you will find some hidden gems that only those who visit year after year will know about. 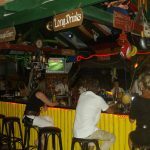 As mentioned earlier there are a few Irish bars in Stalis, the two most popular have to be Dwyer’s Irish Bar and Slainte Bar, both situated on the beach road quite close together. They both have their fair share of live Irish music, and an excellent Irish welcome with Guinness on draft. 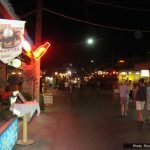 You will also find an excellent Scottish bar called Mambos on the beach road near the end of Stalis. 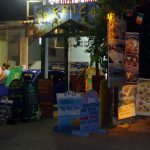 For other great bars try Themis beach bar, Bar Code and Bar Bliss, both stay open into the early hours if your looking for a bit more excitement and nightlife from Stalis. For a more chilled out night try the Rovers Return or Mosquito bar. Both these pubs offer good drinks and a relaxing atmosphere. There are also a few bars that play the latest movies, one of these is Cheers bar, and all your required to do is buy one drink per movie. The movies are usually the latest cinema releases which have handily ended up on DVD, but who are we to argue with the price of the film coming in at one soft or alcoholic drink.